Job Interview Question & Answers for freshers. Straight out of college and looking for a job or probably you already have an interview lined up. Here are few tips for freshers that will help to ace the job interview.You have completed your education and heading towards a new phase of life and you really don’t want to goof up. So let’s look at some tips to answer the most common questions asked to a fresher in a job interview. Remember the person asking you about yourself is not someone you met in a coffee shop,if all goes well he or she will be your boss or your employer. So answers like “I love being on Facebook all day long” or “I changed 3 girlfriends in my four years of college” will not be the right thing to say. The things that you need to mention is your education background,some information about your parents or your siblings but you need not get into detail.Also you can talk about the things you like to do in your free time or something about your personality traits. 3. Talk about your strengths..
You need to prepare for this one way in advance before an interview. List all your strengths in a notepad and try to find ways to back those traits. For example ” I have always submitted all my projects and assignments before the deadline date”. This speaks about you being punctual. Another example :I was leading a team for a big college presentation” so this speaks about your leadership qualities. Don’t boast about how goo you are but do tell the facts and do’t lie. 4. Are you planning for future studies? 5. What do you know about our company..
Don’t just wake up in the morning get dressed and go for the job interview. This question is one reason to do some research about the company. Use the search tools on the internet or go through the website, see and understand what the company is into, what are their products or who are their clients and so on. Don’t end up asking silly question like are you good pay masters or who are your competitors etc. Previous Previous post: How To Be A Good Listener That Others Want To Talk To? 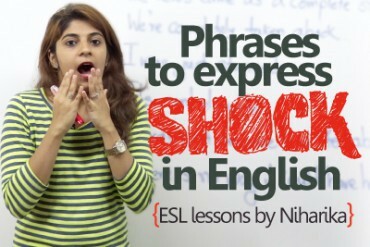 Next Next post: Difference between the words – ‘So’ & ‘Neither’. 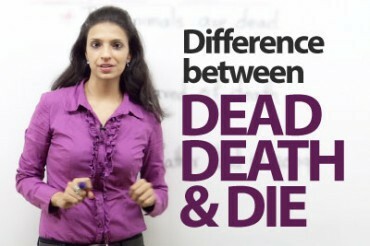 Difference between – ‘dead’, ‘death’ and ‘die’.